Last year I shared how many page I had scrapped in 2013. I thought it might be fun to look back and see how 2014 compared to 2013. Before I put together my graphic I thought I had 2014 in the bag. I figured since I scrapped a double pager each week and scrapped an extra 20 page vacation album that I would have far surpassed 2014. Boy was I wrong. That's a difference of 37 pages. What happened? I think I know. It's called adding a 5th child to the mix (a boy to be exact - I have a lot to learn! ), learning a new language, homeschooling and running a business. But it's all good. I wouldn't change any of those things just to scrap a few more pages. Like I said last year, it's not about what I didn't accomplish but what I did accomplish. I finished my 2014 Daily Life Album, an extra vacation album and many other pages to other albums. I actually feel pretty good about that. It is awesome that you know precisely how many pages that you scrapped. Mine are not so easy to count. However, that being said, I was able to print 2 Disney albums and give them as presents. That being said, in my "export" file, I have 305 items. Those are usually things that I have created (some cards, some siggys, mostly pages) to share on-line. I don't share everything that I create, but I think that is a good jumping off number. I think that I averaged 15 layouts a month. Nice job on the pages Liz! Just curious, how many have you gotten printed? I know you have tended to get whole books printed in the past. I got a grand total of 2 (yes, two!) printed by my mum on her snazzy new printer. But I just found out that I won the SO Challenge Persnickety Prints prize, so I can add a few more to that total soon! Not sure what happened in 2014, I had almost 3 months off in the middle for whatever reasons, and I also had my trip to the US for a month, but I would have thought that would really make me want to scrap. 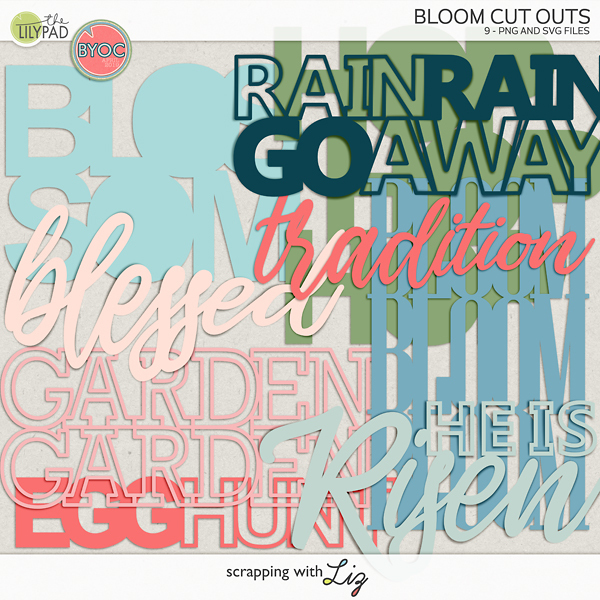 Oh well, it is a new year, and I will have a new baby soon, so I'm sure while he is sleeping I will get some scrapping done, because let's face it, newborns are the most fun to scrap about, lol! Meagan - Wow! That's a great number. Chippi - I just ordered my 2014 book which had a total of 105 pages. 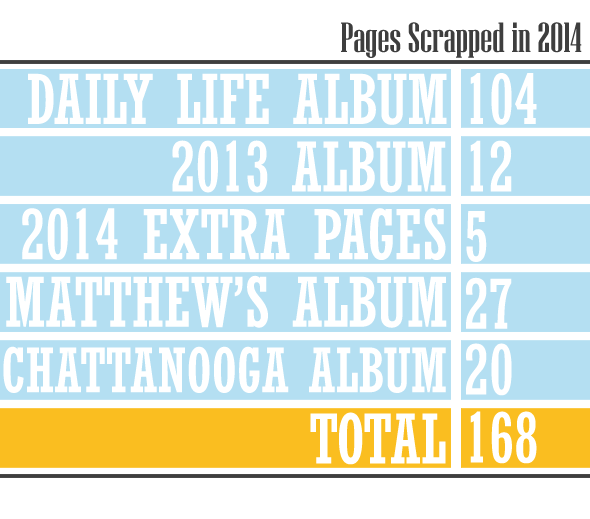 Then I ordered my Chattanooga Album earlier this year which was 20 pages. I haven't printed any of the other pages yet. My next album to be printed (hopefully) will be Matthew's. This year's album I will be printing out the pages throughout the year instead of ordering one whole album at the end. Little baby faces are the best! I like how you have those listed out! I keep an excel spreadsheet. 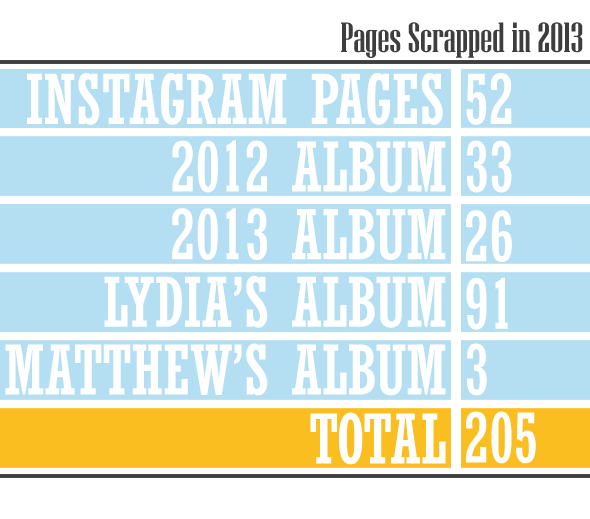 I am thrilled to report I scrapped 437 pages in 2014! I'll be printing (and have already printed many) of them, as they are all ongoing projects, including my chronological books. 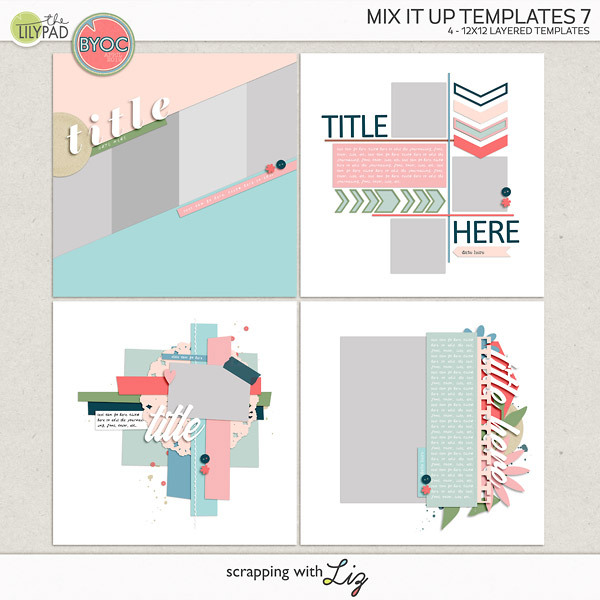 For 2015 I have already scrapped 28 layouts! That's an amazing way to start the year, Lori!